I rarely post about non-beauty things, but here’s an odd one, and in a way, it is slightly nail polish-related! I’ve been compiling an IKEA online order list, since it’s just way too much trouble and not cost-effective to rent a Zipcar, head out to IKEA for an afternoon with the peanut in tow, just to pick up some small items of furniture. But, on the other hand, IKEA’s delivery fee isn’t to be sniffed at, so I have to ensure that what I’m getting is worth the additonal charge. Plus, of course, there is the hassle of booking a delivery window when my building’s moving elevator is available. It’s funny: we moved into our current building a few years ago, and while we did buy several items of IKEA furniture that we’re quite pleased with, we had also decided to upgrade a lot of our university student furnishings, too. (Can I just say I love our canopy bed and sofa?) But now, with our beloved peanut arriving prematurely at his terrible twos, we’re already kind of wishing we’d just gone with another IKEA couch. Farewell, Bryant Sofa…we hardly knew ye. One of the things that the peanut has seen fit to destroy, starting from the ripe old age of 10 months, is our much loved coffee table. We bought it from Crate & Barrel back when we were living at our previous apartment, and it was literally the first piece of furniture that we didn’t buy from IKEA, Canadian Tire, or Sleep Country Canada. It was just one of those moments where we’d found the perfect coffee table, and it cost the same amount as our older IKEA sofa bed! Crate & Barrel Channing Coffee Table. Also discontinued! Anyway, the table was ideal: no glass, no pointy corners, angled feet for less painful toe-stubbings, and a huge lower shelf for books. And now about a third of its surface is wrecked by our little boy constantly running his toys over it. We’ve decided to just let it be, and when he eventually gets a place of his own, he’s gonna “inherit” this beat-up old table and we’ll get a new one. That is, if he doesn’t break it first by jumping up and down on top of it. But he has also recently started to wreck a sisal rug in our work/his play area, which I picked up from Restoration Hardware when we’d first moved in. It wasn’t an expensive rug, and it’s always leaving bits of sisal dust everywhere, so I can’t say I’m too upset about it. It’s been in the back of my mind for a while now to have it replaced, but yesterday the peanut decided to yank a string out from under it, and it’s just unraveling badly. So…it’s time to replace the rug. 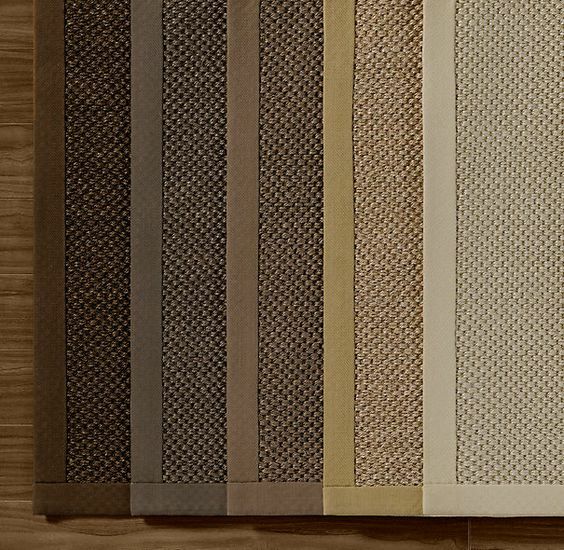 Restoration Hardware Textured Weave Sisal Rug. I know everybody has the optical illusion black-and-white-stripe version, but I am in love with this yellow pattern! It’s a bit larger than our current RH sisal rug, but I think I can make it work. For our little tucked-away media station. Having a toddler means falling in love with rounded corners! To replace a dust-collecting fan/light in the master bedroom. For the hallway table. Ain’t it cute? Also, it seems more resistant to toddler groping than a lot of other lamp designs. This is IKEA’s version of my holy grail cutlery, iittala Piano Workshop 98, but it’s mad expensive and we’ve been happy with the FÖRNUFT for many years now! You can never have too much cutlery! HELMER Drawer Unit on Casters in White — a nail polish collector’s staple! I wish this was actually white, but it’s off-white. Just like they don’t have black, either, just dark grey. Bleah. I’d go for red, but I think it’d be too much color for the office area since I’m planning on stacking five of them side-by-side. Plus, I already have two in white. My nail polish will no longer be homeless! This list would be a lot longer, but there’s a lot of stuff on IKEA Canada’s website that, sadly, isn’t available for delivery. It’s a bit weird, as well: I mean, you can order a 3-pack of scissors and some light bulbs for delivery, but there are some items of furniture, lamps, and textiles they won’t let you order. I don’t get it, and I wish IKEA would improve their online shopping. Imagine if you could order smaller things from IKEA, and have it delivered by mail so there was no massive delivery fee! 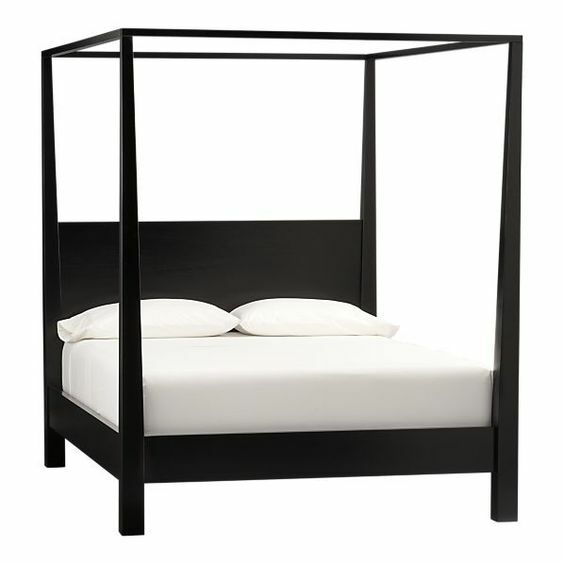 Do you have any IKEA favorites that I should perhaps toss into my shopping cart before finalizing an order? I’d love to have that bed and the white drawer!! The IKEA Hemnes line is one of my faves! I have no suggestions – I just remember liking some pillows when we were there last weekend – they were $5 but I bet not available for purchase online. And I agree, Ikea shipping is expensive! Haha, no I definitely own two Helmers at the moment 😀 Both pretty much full but a little disorganized. I showed my shopping list to DH and he was like, “Don’t you already have one?” I said, “But I want five more…” His eyes kind of popped open. He’s probably imagining I will have all this space to put new nail polish in, but in reality, I just need the Helmers to store all my old ones! Hehe, that old-fashioned cutlery is what I grew up with (probably everybody did, right? ), so I can see the nostalgia value. I think my DH doesn’t really care as long as the utensils aren’t weirdly shaped. I actually have a couple of IKEA pillow inserts that I meant to sew covers for, but never got around to it! Ahh thank goodness I’m not actually there. Too tempting to pick up all kinds of stuff. I think I was experiencing a brain fart when I read the post… duh. I somehow interpreted what you wrote as you NOT having 2 Helmers already. 😕 Of COURSE you already had 2. Silly me. Love this list. I adore Ikea, though I agree their delivery prices are a little crazy. Still shouldn’t complain, because mine is relatively close by. Love that rug you picked, such a great color and pattern. I think the best bit about Ikea delivery is not picking up the countless extra’s you find in the showroom (oh look, another chopping board…definitely need that). Actually, I am close to several Ikea’s…the Netherlands is just really small and we love flat pack so we have a very decent spread of Ikea stores. It is bad though, because you always walk out with so much stuff you didn’t really need.